The Parent Child Reading Group will meet March 17th at 6 pm at the Saratoga Springs Public Library to discuss The Phantom Tollbooth by Norton Juster. If you are a member of this reading group, please stop by The Northshire Bookstore to pick up your reserved copy of this title (and receive a 20% discount). We currently have so many excited readers that this group is full. For more information about the group or to be put on the waiting list please contact ReadingGroupsNY@northshire.com. The Hickory Stick Children's Book Club Discusses "The Phantom Tollbooth"
"A classic... Humorous, full of warmth and real invention." --The New Yorker ------------------------------------------- Our book club is open to all and no registration is required, so please feel free to read the book and join in on the discussion! Questions? Please call 860-868-0525. Never Too Old Book Club meets to discuss The Phantom Tollbooth by Norton Juster. A specialist on children’s literature and its creators—and the editor of The Annotated Phantom Tollbooth—Marcus has gathered interviews with friends and associates of Madeleine L’Engle, offering homage to the author of the beloved A Wrinkle In Time with this special collage of a biography. Annie And Joe's Eclectic Book Group - October- "The Phantom Tollbooth"
Join the Eclectic Book Club discussion of The Phantom Tollbooth by Norton Juster and Jules Feiffer. All welcome! To celebrate the 50th anniversary of this beloved classic, two new editions have been released. The Anniversary Edition includes new essays by authors such as Suzanne Collins and Mo Willems as well as reprinting Maurice Sendak’s 35th-anniversary tribute. The Annotated version includes notes and interviews with Juster by Leonard Marcus. Ages 8-11. Norton Juster discusses The Annotated Phantom Tollbooth. ; Norton Juster discusses Neville. ; Leonard Marcus discusses The Annotated Phantom Tollbooth. 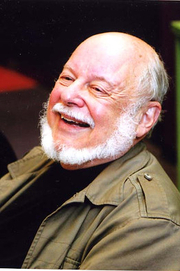 Norton Juster is currently considered a "single author." If one or more works are by a distinct, homonymous authors, go ahead and split the author. Norton Juster is composed of 7 names. You can examine and separate out names.